We are the world leading developer of higher mathematic equation libraries for the iPad and the iPhone ! 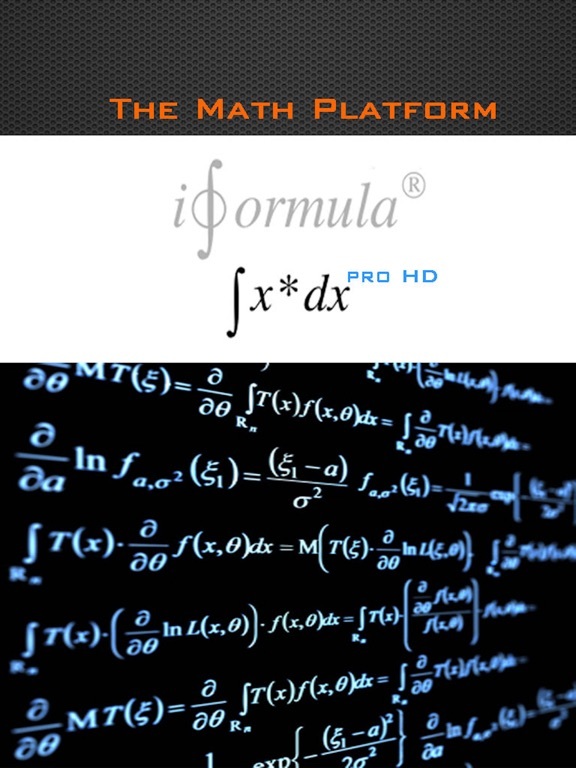 We are proud to present the all new iformula pro HD higher math equation reference library for the iPad only! * Full searchable (keywords, chapters, equations, math topics). * Note system for storing important notes to every equation page. * Air print to print every equations page to a wifi, lan printer. * Send equation pages via email out of the app for further processing . We have analyzed hundreds of customer feedbacks of our app "iformula" iPhone series and completely reengineered it for the iPad. 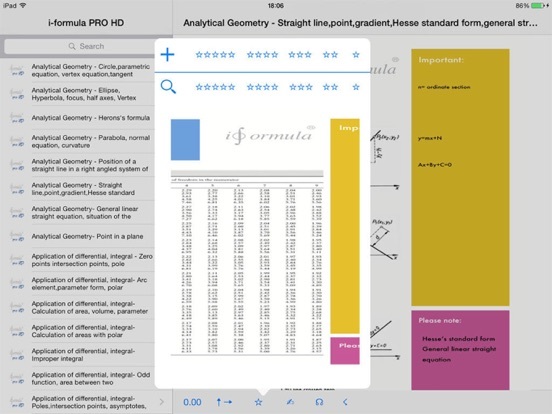 "iformula pro HD" is much more, than a simple math library, it is your homework buddy, your math nerd class mate, your personal math coach and of course the best math reference for the iPad. 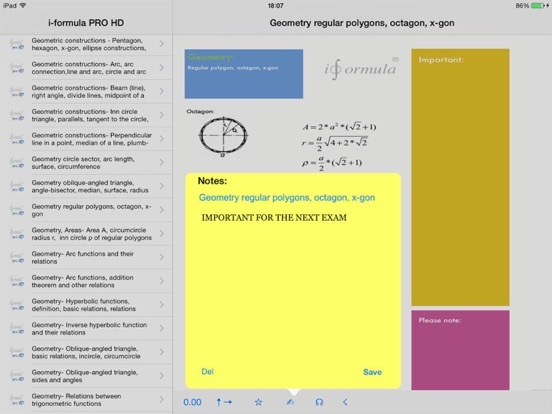 Not only representing an equation library, but also having a scientific calculator, notes, bookmarking and what is absolutely unique - Furthermore it allows you to air print every equation page, or forward it via email for using it in your math essays or papers! 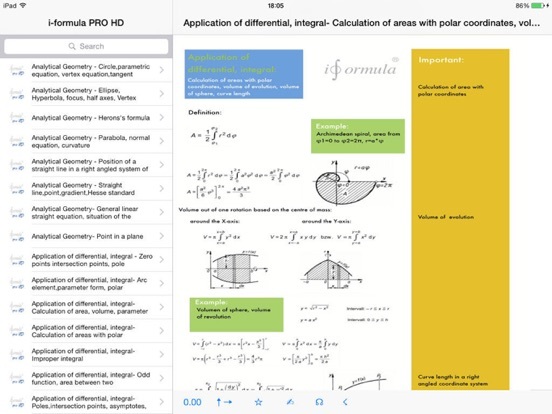 T.Werner CEO of iforumla company commented in the first company press release concerning iformula pro HD for the iPad :"...iformula pro HD is breath-taking, math could really be great fun with this app...."
We will permanently extend the math topics, also on users requests! 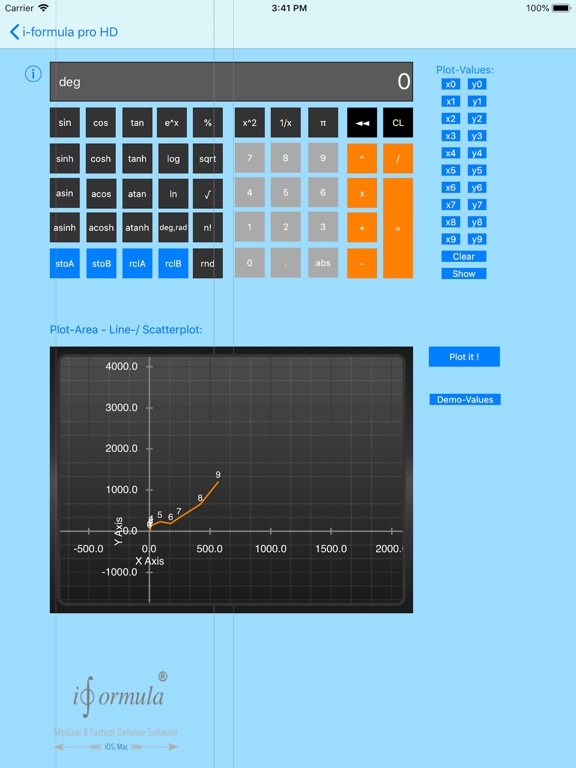 Improved graph drawing function ! Show value table of the math graph !